Colour isn't quite as green as I was expecting, and the neck is much looser than the originals but that's probably just my sizing. FAST shipping! Quality construction. 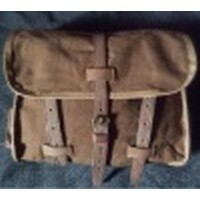 Another fantastic Great War reproduction from WPG. The original tunic had a minor defect and a replacement was received within 7 days. Looks great! Excellent reproduction, except for the lower pocket buttons which shouldn't be there. Luckily the button holes weren't cut. Excellent quality, great fit. I would have given this a perfect score except for the buttons on the hip pockets, which didn't exist on the original tunic.